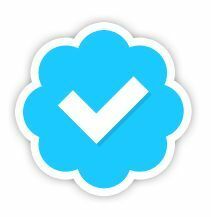 Twitter is finally making the process of getting that blue tick easier for its millions of users. Starting today Twitter will let users request for an account verification by filling out a form on its website and supplying a few details such as a verified phone number, email address, a bio, a birthday (if the account belongs to any individual), a website, a profile photo and information on why verification is useful to them. Although the verification is still Twitter's prerogative, it is a lot better that the previous closed system employed by Twitter.